There is no quick fixes when it comes to weight loss. If you’re a regular reader of our content then you should know by now that we don’t pull any punches when delivering the truth about nutrition. We know what works and what doesn’t and quick fixes simply don’t work. Not only don’t they work they don’t even exist in reality. There is no quick or easy way to cheat the weight loss game. Once you realise that changing your diet or exercise program or cutting this food or that food or taking some supplement or magic pill isn’t going to get you quick results what do you do? The first thing you should do is accept that you aren’t going to make wholesome changes to your body in a short amount of time. Think months not weeks I’m not saying you can’t achieve your goals I’m saying it’s going to take time. Yes you might want results quicker but you can’t get them, it just doesn’t work like that especially if you want to stay healthy and keep the results; deal with it. Everyone that is in shape has one thing in common. They have been doing whatever they do consistently for a prolonged period of time. No one ever got in awesome shape doing a quick fix juice diet and if they say they did they’re trying to con you. The second thing you should do is educate yourself about the human body. Learn to understand why we gain and lose weight. The process of energy balance and the role of macronutrients and micronutrients in the body and how they will effect your results. Our aim is always to educate clients first and foremost. If I just tell you what to do without you understanding the whys and how’s then how will you be able to take charge of your own nutrition in the future. 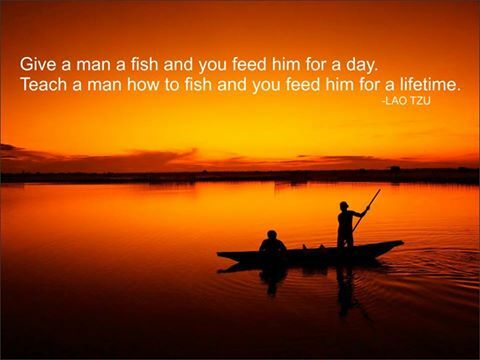 “Give a man a fish and you feed him for a day; teach a man to fish and you feed him for a lifetime” once you know you know. Learn to embrace the education process. The final thing you need to do is learn to enjoy the process. Find activities you enjoy doing, find a nutrition strategy that works around your life. There’s no reason why losing weight and getting healthier can’t IMPROVE the quality of your life rather than making it a misery. Being miserable and starving yourself isn’t a necessary part of ‘dieting’. If you can learn to live a healthier and more active life that actually makes you a happier person on a daily basis you’ll make the progress you want without even realising your doing it. No you can’t make these changes happen over night but you’ll still get to the finish like quicker by slowly moving foreword than you would by going round in circles really quickly which is all conventional ‘dieting’ achieves.